Thinking of making your own espresso? Tired of spending too much by buying your espresso shot in expensive coffee chains like Starbucks? Well, we have good news for you! 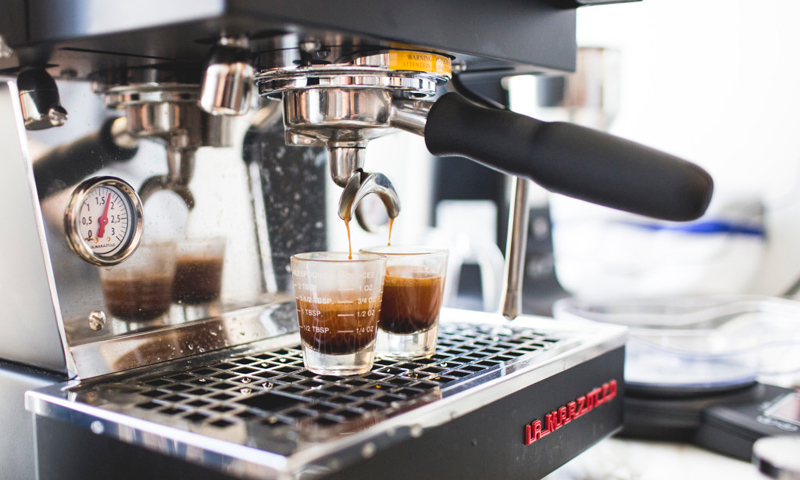 You can make your own espresso shot even at the comfort of your own home, or even in the office. You only need to invest in the right machine and follow the right instructions on how you can come up with a good espresso. Interested in knowing how to use espresso machine? In the rest of this post, we will give you some tips on the basic steps that you should do. In the end, we hope that this is going to make things a lot easier. Porta-filter: This is short for portable filter. This is the handle that holds the coffee brewing basket. One of the requirements is for such to be attached to the group head all the time, which is vital in terms of being able to maintain heating efficiency. Group Head: This is the part where the porta-filter is going to be placed. In the case of larger espresso machines, such as those that are used in commercial establishments, there can be more than one group head. Hot Water Spigot: As the name implies, this is the part that will spit hot water. Shot Buttons: They can be designed and laid out differently, depending on the manufacturer. These buttons will send water through the porta-filter. It can be programmed to be able to suit various preferences of the user. Warming Rack: This is one thing that is commonly found in a machine that is meant for commercial use. This means that there is a top part that can provide warming for the mugs that are stacked. Steam Knob: This is going to provide the user with the freedom to have the machine controlled as desired, depending on the amount of steam that will be needed. Drip Tray: This is the part that is found on the bottom of the machine and is usually where the shot glass is placed. This will effectively catch all the drippings to keep the area free from mess. Digital Display: This is one thing that is common in the modern options. It will provide you with the information that you need to know, such as the pressure gauge. The first thing that you have to do is to prepare your beans. This will be the foundation of a good espresso. It would be best to buy whole beans and grind it on your own. However, this also does not mean that you can just use any grinder. It is also essential to keep your coffee beans as fresh as possible. Proper storage and handling will also be necessary. The next thing that you have to do is to fill the reservoir with water. Just like in the case of coffee grounds, you should not use just any water. This will affect not only the quality of your espresso, but also the functionality of your machine. Your water must be cold and filtered. If you are using hard water, it can lead into the formation of sediments. Distilled water, on the other hand, can damage the boiler. Unfiltered water, meanwhile, will have a bland taste. Turn on the machine. Take note that this does not mean that you can use it immediately. You should give it time to heat up. After a few minutes, the porta-filter must now be locked on the group head. Make sure to have it wiped as well. Put about 18 to 21 grams of coffee in the porta-filter. Tamp the coffee grounds. Make sure that it is pressed evenly as this will greatly affect the result. Place the porta-filter on the group head. Start with the process of brewing. Sooner, your shot is ready! It does not really take too much time to make your own espresso shot. The important thing is that you have the right equipment and knowledge on how to use espresso machine. Keep in mind as well that brewing is an art. Even baristas were not able to perfect their skills just overnight. It might take a lot of practice. Do not be afraid to commit mistakes along the way. They will help you to learn better.